Authorities in Pakistan released a senior Taliban leader briefly detained this week to apply pressure on the narco-jihadi group to engage in U.S.-backed peace negotiations with the Afghan government, Reuters learned from the terrorist organization. Pentagon officials have long accused Pakistan of harboring the Afghan Taliban and its Haqqani Network, an assertion denied by Islamabad. However, Pakistan has admitted to having a degree of influence over the terrorist group that it is trying to use to persuade the jihadis to accept the peace talks. U.S. President Donald Trump has suspended hundreds of millions in funding over Islamabad’s reluctance to take decisive actions against the Taliban and Haqqani Network, to no avail. This week, BBC learned from Taliban sources that Pakistan this week arrested Hafez Mohibullah, identified as the religious affairs minister when the Taliban regime ran Afghanistan before U.S. troops deposed it in late 2001. BBC described the Taliban leader’s detention as an attempt to put pressure on the jihadis to engage in the currently stalled peace negotiations with the Afghan government. “There was a meeting with Pakistani officials on the upcoming peace talks which ended in arguments. Right afterward, the authorities raided a number of houses and arrested Mohibullah. After that [Taliban leader] Sheikh Hibatullah sent a message warning everyone to be alert,” a Taliban source declared, BBC reported Tuesday. Reuters acknowledged that Mohibullah’s brief detention is part of a push by Islamabad to pressure the insurgents to open negotiations with Kabul. The Taliban recently “halted” peace negotiations with the United States, citing America’s insistence that the group negotiates with the Afghan government as the primary reason. On Tuesday, the Taliban issued a statement threatening to completely end contact with the U.S. despite America’s ongoing pursuit of a negotiated end to the war. “Hafiz Mohibullah, a senior military commander who has been closely involved in talks with the United States, was arrested in Peshawar, close to the border with Afghanistan, at the weekend but was subsequently released,” Reuters revealed. “After his arrest, Pakistani authorities started raids on many other houses of the Taliban movement, their friends and commanders in different places in Pakistan,” one senior Taliban leader told Reuters on condition of anonymity. 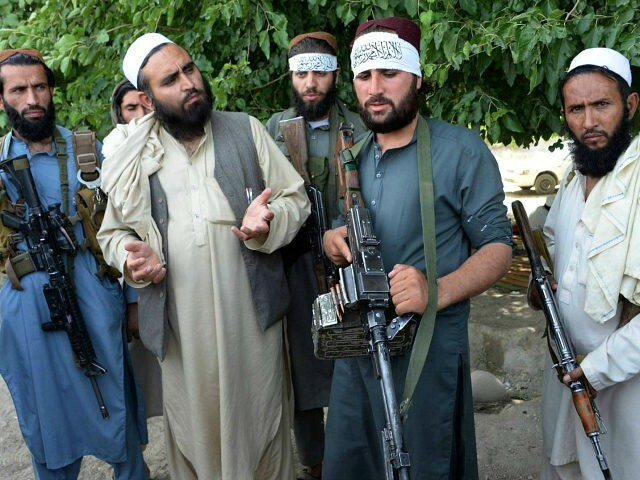 Taliban terrorists have long refused to engage in negotiations with the Kabul, arguing that the Afghan government is a puppet of the United States. The Trump administration has intensified America’s peace-seeking efforts in Afghanistan, making “political reconciliation” between the Taliban and Kabul the primary goal of its goal to end the nearly 17-year-old war.